thoughts on traveling alone. | there's no place like gnome. Traveling alone isn’t all fun and games. There is no one to share in the inside jokes. No one to whom I can complain. No one to laugh with or with whom to people watch. Congratulations. You have just become that person. I am now going to tell you everything I couldn’t tell anyone when it happened. You know how that one husband who is staying at the B&B looks like the gay guy Cher kinda sorta dates in Clueless? Totally. They kinda laugh the same too. And that woman on the kayak trip who apparently knew everything? Gross. < Was it just me or would you also want to run inside and yell to the people behind the counter at this donut place, “You did it! You finally did it!” like on the movie Elf? 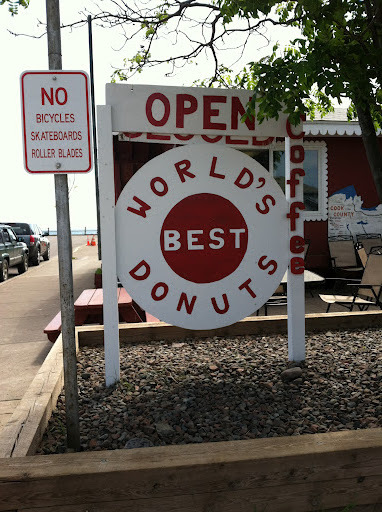 World’s best donuts?! Congratulations! I don’t want to go home tomorrow. Please don’t make me. One more night would be perfect. 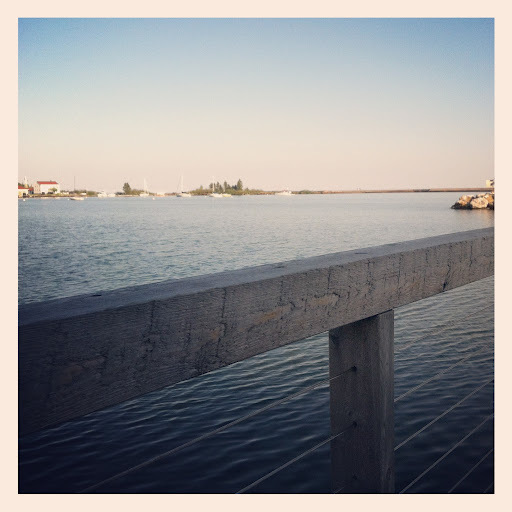 my dinner view at the angry trout. >The server I had for dinner at The Angry Trout restaurant was named Lenna. Of course she was. I wonder where Ole was. All I know is that she didn’t charge me for my glass of wine because she kinda forgot about me for fifteen minutes. I’ll take it; it wasn’t like I was just sitting there doing nothing. I was reading my book on introverts by myself like most crazy people would be doing. No, Stone Harbor Outfitters, I will not rent one of those stand-up paddle boards to try on Lake Superior. You crazy. But I will buy a set of playing cards called Don’t Die Out There to give to my brother, Ben. Each card has a survival tip on it; not that he needs it. He just got back for a bear hunting trip about which he sent an email. He called it “exciting” and is apparently getting a bear rug out of the kill. Huh. Bright yellow Keen sandals were a very wise investment.